One of our favourite ways to reward ourselves after a long tiring week is to sit back, chill and relax with a cuppa good aromatic coffee. 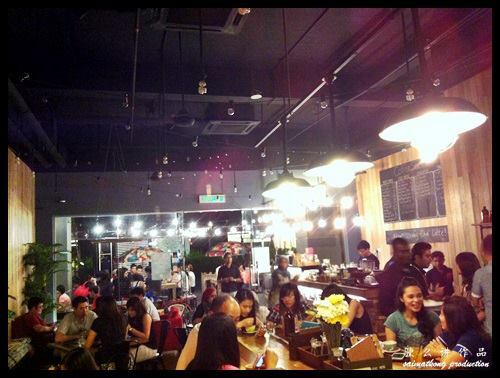 We recently discovered another good place to get our caffeine boost – Coffee Société @ Publika, Solaris Dutamas. 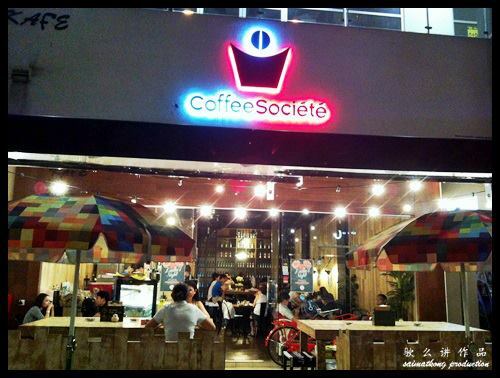 Coffee Societe is located opposite Boutique Latta de Tomate in Publika, Solaris Dutamas. 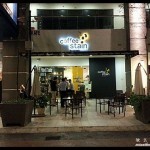 It’s just a few shops away from another coffee place – Coffee Stain by Joseph. 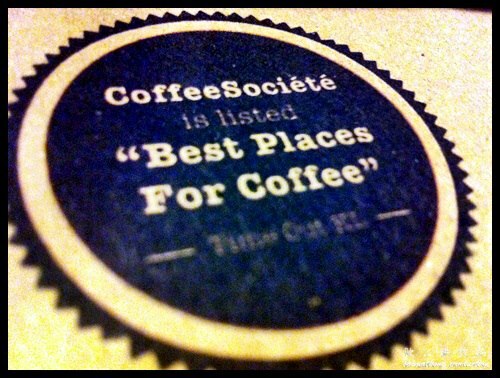 Coffee Société was featured as the Top 3 Best Places for Coffee by TimeOut KL 2012. 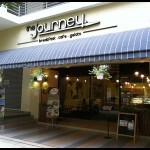 This cafe has a wood theme interior which creates a pleasant and cosy atmosphere. 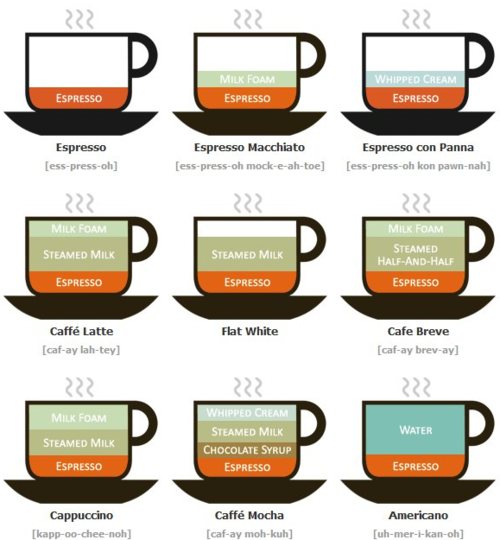 Know your Coffee well? 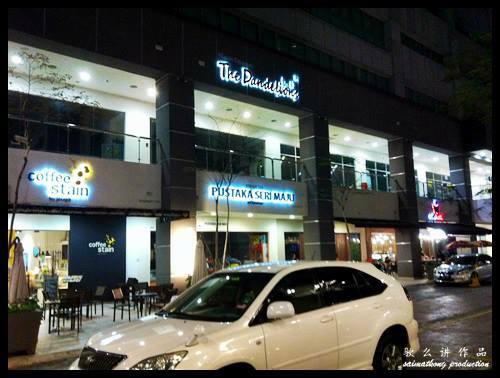 Don’t know which Coffee to choose or don’t know what’s the Coffee that you are drinking? This Coffee Chart for your reference to all the coffee lover! 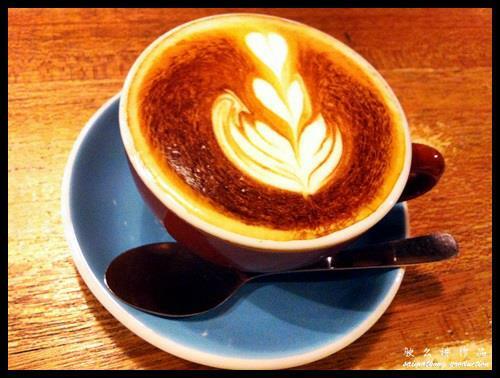 A cappuccino, is an Italian coffee drink which is traditionally prepared with espresso, hot milk, and steamed-milk foam. The name comes from the Capuchin friars, referring to the colour of their habits. 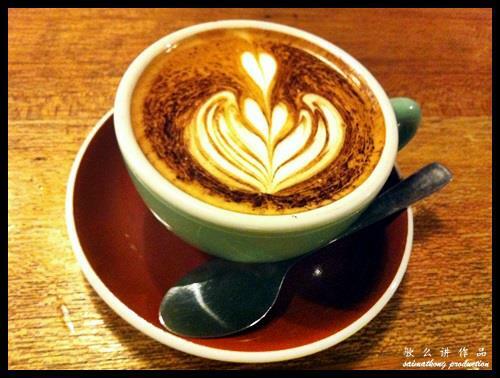 A very nice looking cappuccino latte art. I love drinking coffee with nice art! 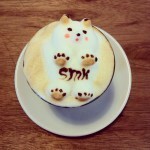 Most of the time I’m amazed by the coffee art! Caramel Cappuccino is just a flavored latte added with a beige to dark-brown confectionery product made by heating any of a variety of sugars. 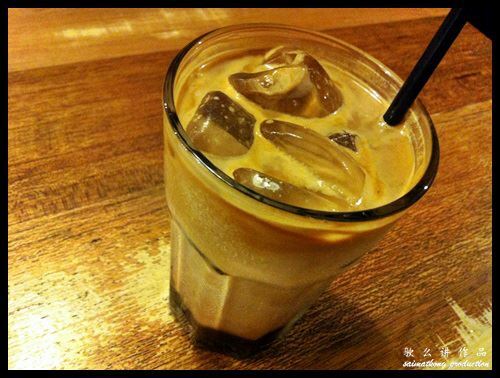 You will like Caramel Cappuccino if you preferred a little sweet taste coffee! 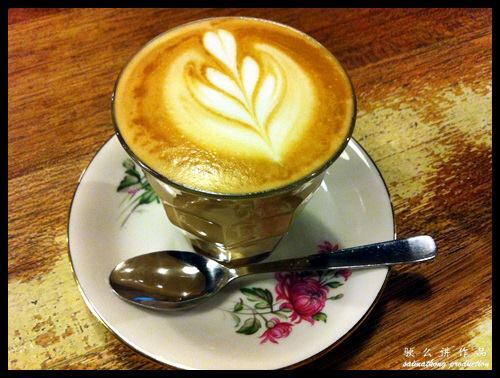 A latte is a coffee drink made with espresso and steamed milk. 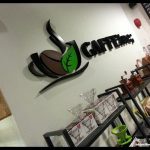 The term as used in English is a shortened form of the Italian caffè latte or caffellatte (pronounced [ˌkaffelˈlatte]), which means “milk coffee”. 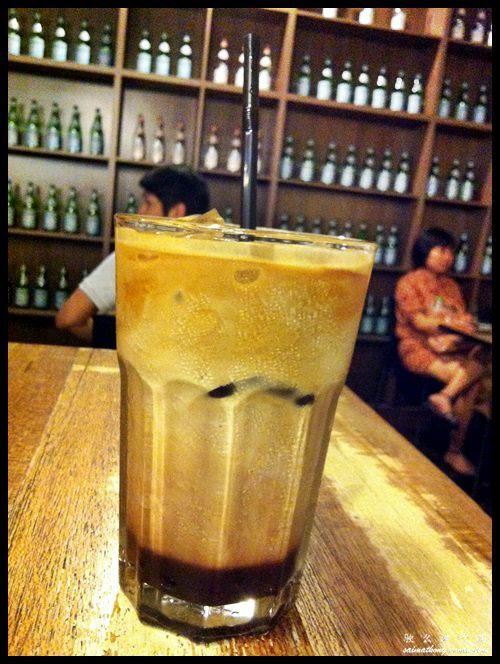 You will like Caramel Latte if you preferred a little sweet taste latte! 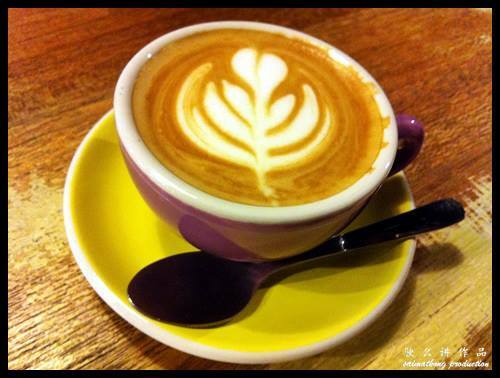 Love this Flat White – it has a smooth and velvety texture. 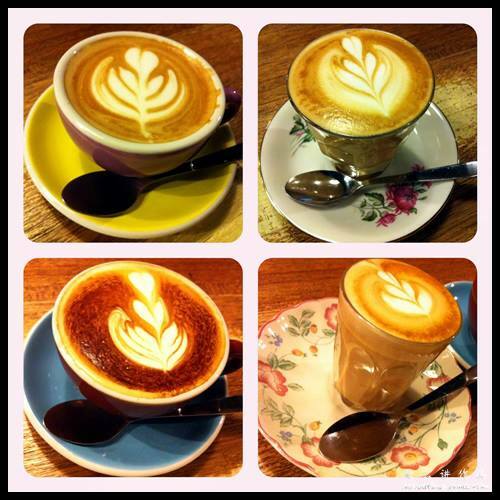 A flat white is a coffee beverage developed in Australia and New Zealand in the 1980s. It is prepared by pouring microfoam (steamed milk from the bottom of a pitcher) over a single or double shot of ristretto espresso. It is similar to the latte and the café au lait although smaller in volume, having a higher proportion of coffee to milk, and more velvety in consistency. 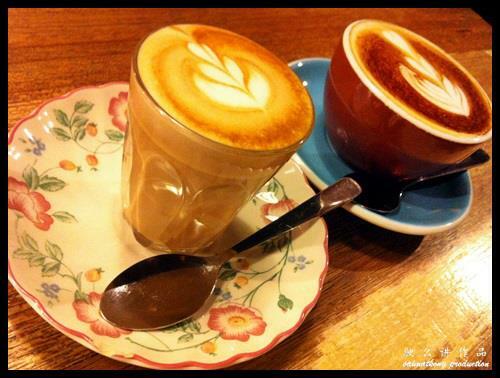 Piccolo Latte is a ristretto shot (15 – 20 ml) topped with warm, silky milk served in a 100 ml glass demitasse (small latte glass). A caffè mocha or café mocha is a variant of a caffè latte, inspired by the Turin Coffee beverage Bicerin. Like a caffè latte, it is based on espresso and hot milk, but with added chocolate, typically in the form of sweet cocoa powder, although many varieties use chocolate syrup. Mochas can contain dark or milk chocolate. Caffeine overdose with this cup of ristretto. 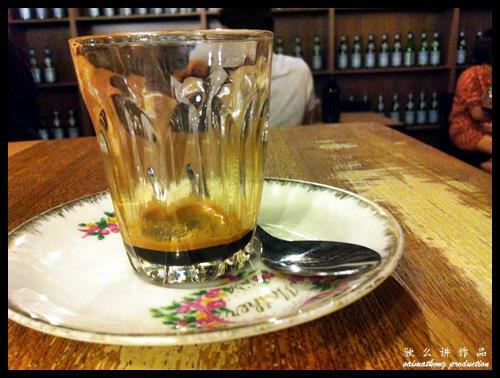 Ristretto is a very “short” shot of espresso coffee. Originally this meant pulling a hand press faster than usual using the same amount of water as a regular shot of espresso. Since the water came in contact with the grinds for a much shorter time the caffeine is extracted in reduced ratio to the flavorful coffee oils. 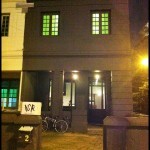 The resultant shot could be described as bolder, fuller, with more body and less bitterness. All of these flavors are usually attributed to espresso in general, but are more pronounced in ristretto. Today, with the hand press out of favor and modern automated machines generally less controllable, ristretto usually just means less water; a double espresso shot is typically around 60 ml (2 fl oz), while a double ristretto is typically 45 ml (1–1.5 fl oz). 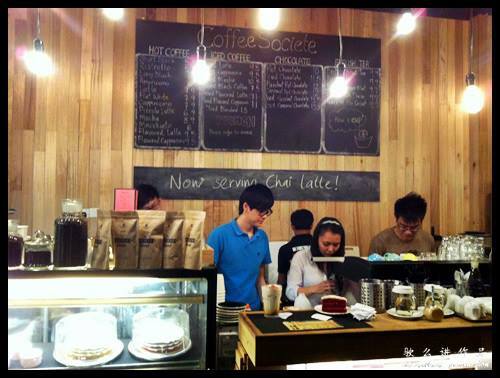 This is definitely good news for all coffee lovers to get your caffeine fix! 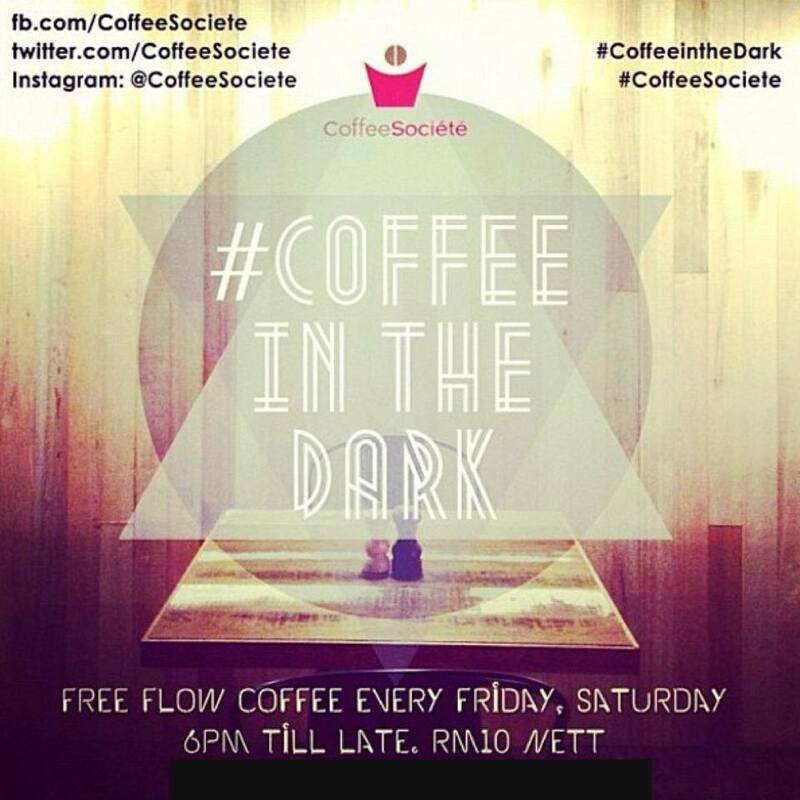 Coffee Societe is serving free flow coffee every Friday and Saturday from 6pm to late for only RM 10 nett! 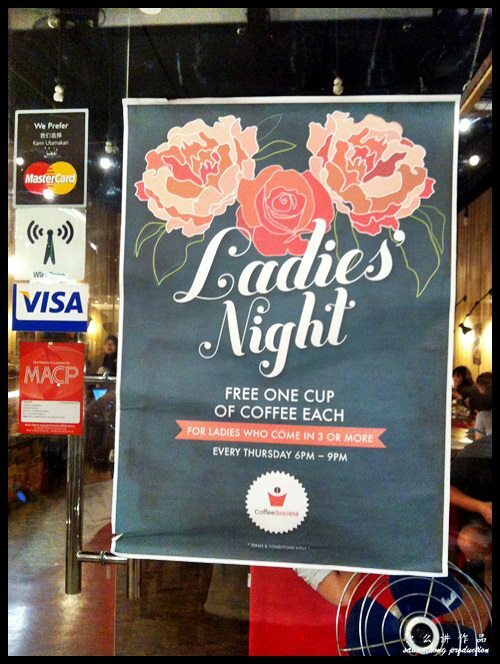 YES, its just RM10!!! 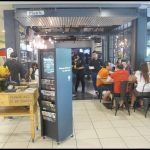 You can order any hot coffee, iced coffee from the menu ranging from hot latte, hot cappucino, hot piccolo latte to iced latte, iced cappuccino, iced mocha and etc. 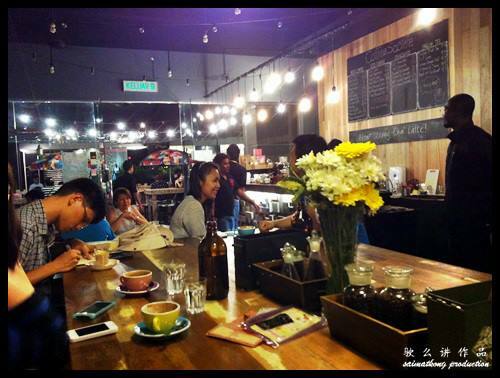 Verdict: This coffee place is perfect for studying, chilling with a novel or book, hanging out with friends, or bringing a date.